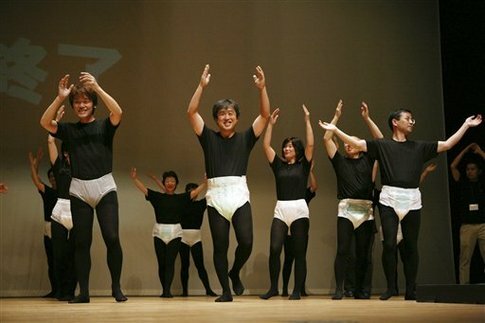 Japanese wave after modeling the latest styles of adult diapers during a show in Tokyo Thursday Sept. 25, 2008. The show was organized to display the latest styles of adult diapers and to raise awareness of some of the issues facing the county’s rapidly aging population. (AP Photo/David Guttenfelder) I found this photo on Open … Continue reading "Wanna Sleep in a Hotel Diaper?"